This post is sponsored by Disney-Hyperion. Opinions are my own. If you have a little girl, you probably know all about Elena of Avalor. My daughter, Kara, is a huge fan of Disney’s Elena of Avalor, and I have to admit that I really like Elena’s as well! I think that Kara could learn a lot from Elena about being bold, confident and most of all, a caring leader. It’s these qualities that truly make Elena shine, and I completely understand why my daughter admires this character so much. 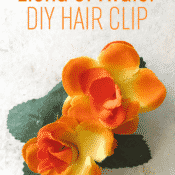 To celebrate the release of the new book—Elena And The Secret of Avalor—I’ve put together this simple and sweet Elena-inspired hair clip! It’s such a cute accessory for fans of Elena, and would be a fun parent-daughter craft to do with your little one after reading this wonderful new book. Of course, parents, you’ll need to handle the hot-gluing, but your little princesses can supervise and help choose the perfect blossoms! Princess Elena from the kingdom of Avalor has been magically trapped inside an enchanted amulet, waiting for another princess to set her free. Come along on this magical adventure and meet Disney’s newest crown princess, Elena of Avalor! 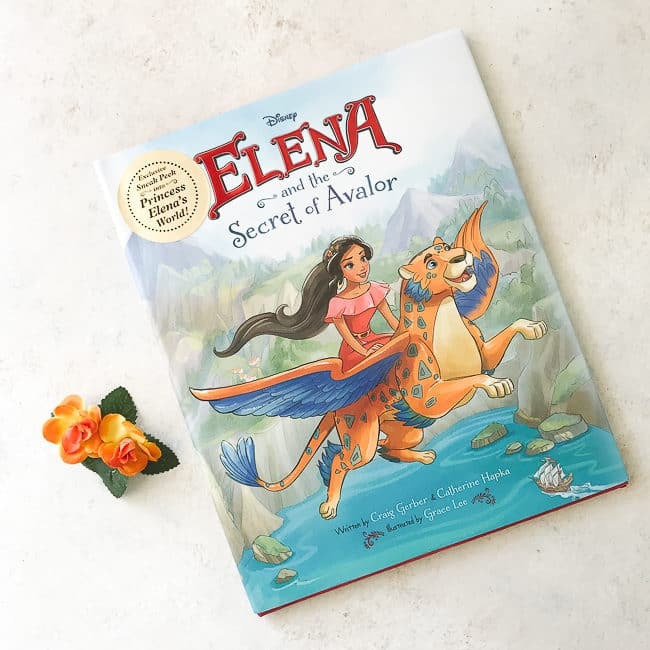 Elena And The Secret Of Avalor was written by Craig Gerber and Catharine Hapka and illustrated by Grace Lee. The book released on October 18th, 2016 and it’s recommended for ages 6-8, though my 4-year-old, Kara, loves for me to read it to her! This book is full of action and adventure, sure to keep your little Elena fans on the edges of their seats. I’ve already read it a half a dozen times to Kara and I see no sign of slowing down. It’s just a really fun book for any child. My little boy even enjoys hearing it at story time. 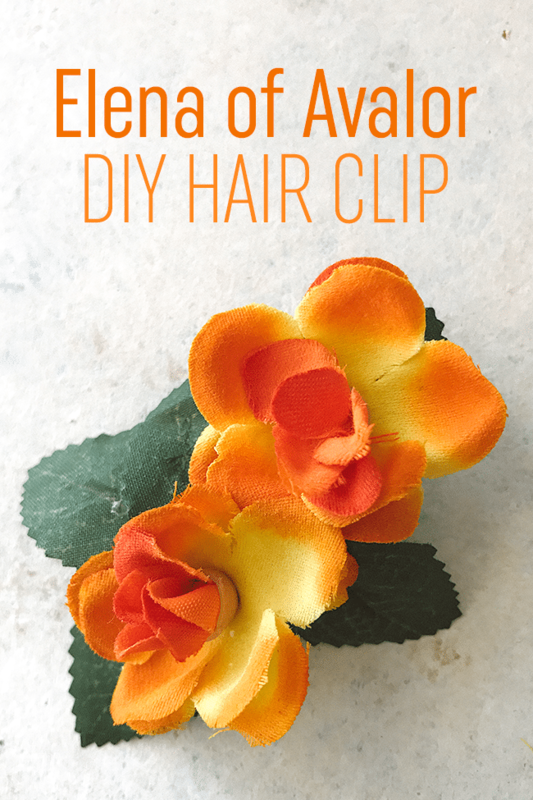 This DIY Elena of Avalor hair clip couldn’t be easier. 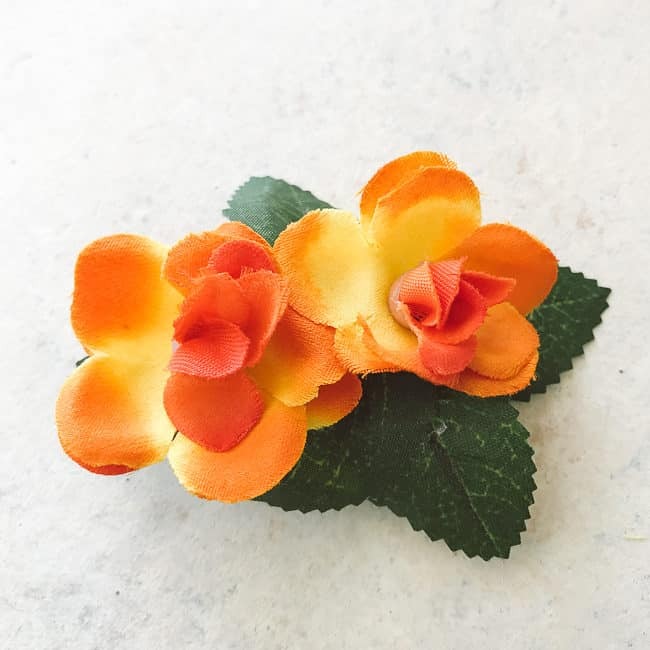 You’ll just need a small piece of felt (any color will work, but I used brown to match Kara’s hair), a hot glue gun and some glue, a small alligator hair clip and some artificial flowers in orange/green to match Elena’s. There is a full list of instructions below, but it’s really just as easy as gluing all of the elements onto an alligator hair clip. I use the felt to provide a base for gluing. 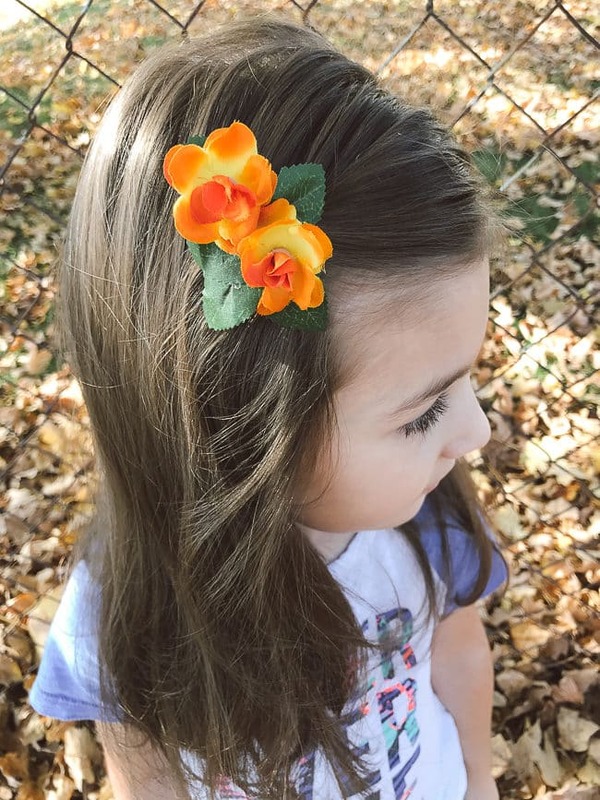 Kara was more than thrilled to have her very own hair accessory that looks like Elena’s! 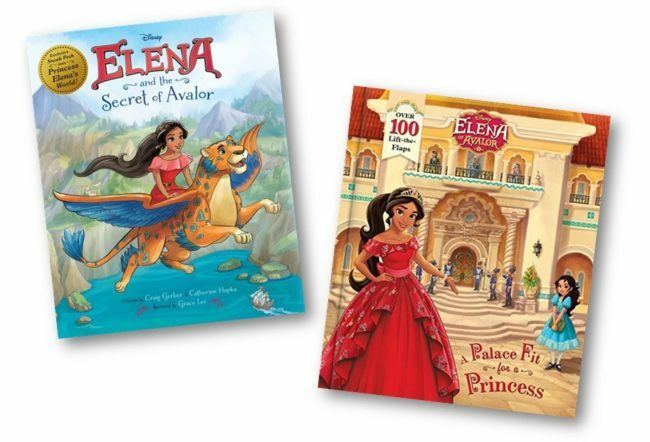 I’m pleased to tell you that one (1) winner will receive two Elena of Avalor books: Elena and the Secret of Avalor and A Palace Fit for a Princess. All you need to do is leave a comment on this post telling me who you’ll be giving this book to and how much they love Elena of Avalor! Open to US addresses only. Prizing provided by Disney Publishing. 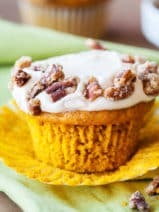 Ends 11/10. 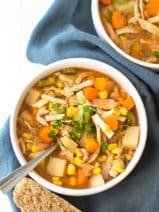 This is a very simple craft! Simply cut a small piece of felt the size of your alligator clip and hot glue on top. 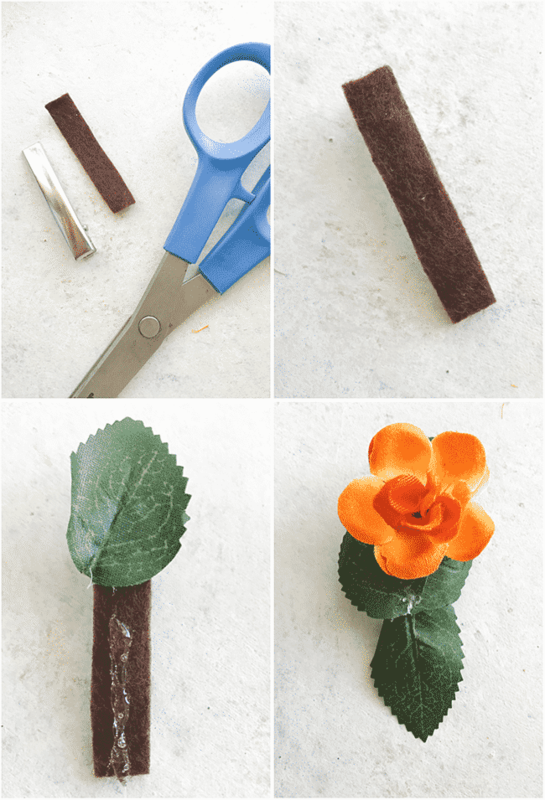 Hot glue a base of green leaves to the felt, and then hot glue 2 orange flowers or more depending on the size of your clip and your desired effect. 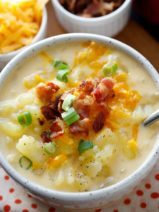 Sweet, easy and so cute! I would love to share this with my best friends’ daughter. She really loves reading but I’m not sure if she’s a fan of Elena of Avalor. I know she’s a fan of Disney! 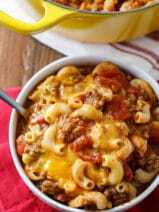 My daughter would love these. It would be a great Christmas present. Thanks for the chance. My daughter would be getting these books and she loves Elena of Avalor for her dark hair. Both of my daughters LOVE Elena and can’t wait for the new episodes! My niece would absolutely love these, she dressed as Elena for Halloween and is obsessed! My daughter LOVES Elena!! She can’t wait for the TV special “Elena and the Secret of Avalor” – she keeps thinking it’s tomorrow! She’s 3, but she loves to be read to! I would give these books to my niece. She makes it a point to record and watch every episode. She would love these books. Thanks for the giveaway. We havent heard of this character or books.